Send 'World Vision International' vacancy to your friends! Name - Who would you like to forward this page on to? Is your vision, our vision? World Vision is a global community of millions, working together for one purpose: to change the lives of vulnerable children. Our supporters, partners and staff join forces with communities on the ground to help children enjoy good health, be educated for life, experience love of God and their neighbours and are cared for, protected and participating. Together we share proven, worldclass development methods to bring food, water, education and economic change. By working with communities to protect children from violence and neglect, caring for them in emergencies, and challenging everyday injustice, we enable self-sufficient communities to make real, lasting change. Driven by our desire to serve God and make a lasting impact in the world, we’re a people that know no bounds or borders – we work with people of all cultures, genders and faiths to achieve transformation. We welcome anyone with the will to make a positive change for children and who shares our vision. Join us. missionaries across Asia. He began work in China and Korea dedicated to the care of orphans, and personally raised financial support that came almost exclusively from churches and the Christian community in the United States. Today, 65 years later, World Vision has grown into a global organisation with a sweeping scope: helping over 40 million children and their families, through 42,000 plus global staff and projects in nearly 100 countries. In a fast-changing, mixed up world, we are a powerful force for good that you can be a part of. Join the 42,000 staff working in more than 90 countries, helping every child experience life in its fullness. Our organisational culture reflects a “Partnership” of World Vision offices in over 90 countries and 42,000+ staff working towards one vision: Our vision for every child, life in all its fullness. Our prayer for every heart, the will to make it so. This World Vision Partnership is founded in and united by our shared Christian values. Our mission is to follow our Lord and Saviour Jesus Christ in working with the poor and oppressed to promote human transformation, seek justice, and bear witness to the good news of the Kingdom of God. Each staff member brings their unique experience and God-given talents to the organisation – and in return World Vision provides employees a competitive “Total Rewards” package tailored to the context in which they work. 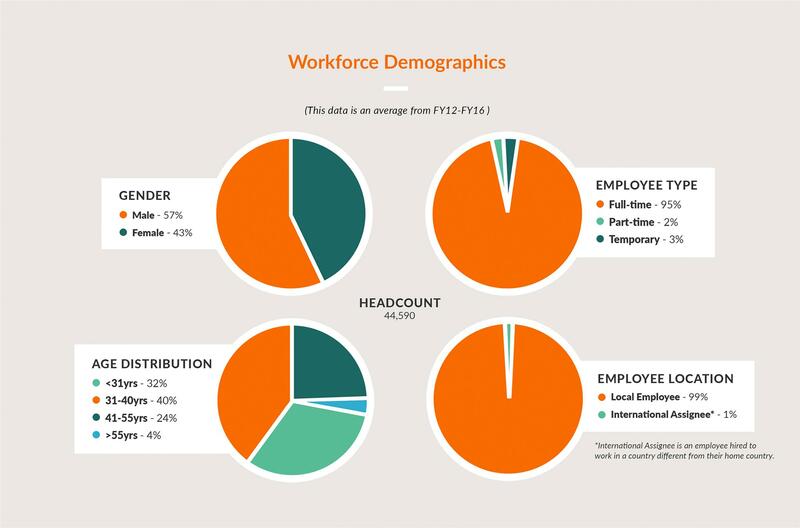 Compensation – World Vision provides salary compensation appropriate to local and global labor market competitiveness to help attract, develop and retain employees. Benefits – We provide full spectrum health and welfare benefits for you and your family, catered to the context in which you work. Career Development – We provide learning experiences designed to enhance employee competencies and to advance your career goals with World Vision. Recognition – World Vision may introduce employee programmes designed to reward staff and team achievements. Staff Care – We provide holistic support for staff. World Vision has peer staff and external professionals available when you need assistance and care. Organisational Value and Affiliation – Our Christian Committment to serve the Lord, and the value of service to children and the poor, are key values that attract and retain staff to World Vision. Working Culture – World Vision ensures a work environment that promotes employee well-being and adheres to high ethical standards; treats individuals with fairness and equity; abhors harassment, violence, and illegal activities; promotes conditions that are safe, secure, and healthy; responds to staff suggestions and concerns: and encourages staff to perform at their best. Integrating gender into programming can be the key to catalysing transformation in a community. Applying gender equity across the life cycle can break cycles of poverty and deprivation, allowing boys and girls to enjoy life in all its fullness. Because gender norms are so deeply entrenched in communities and often a source of injustice and systemic poverty, failing to understand and address these negative norms can inhibit the success of World Vision’s contribution to the well-being of girls and boys. 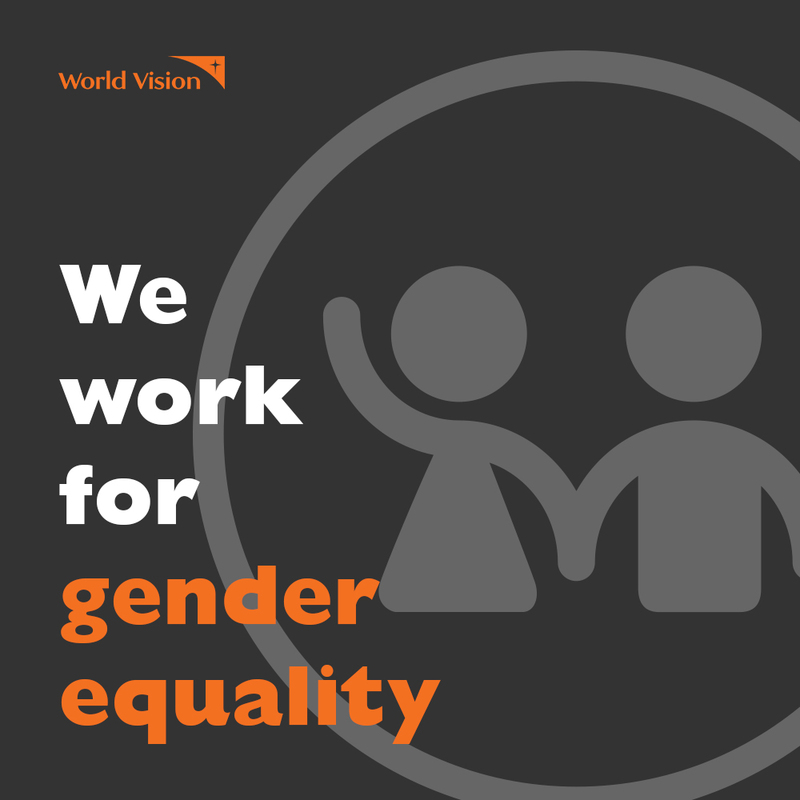 World Vision supports programming and policy that transforms individuals, relationships, systems and structures toward gender justice for a more equitable world that promotes the dignity and well-being of every man, woman, boy and girl. To read more about our work in gender equality please click here.